The 2013 ice storm left hundreds of thousands of Canadians out in the cold and made some people pause to consider the fragility of urban energy systems in a changing climate. The idea of so many people spending Christmas in the cold made me reflect on some of the better-known cases of Canadians freezing to death in the past. Frankly – and aside from Sir Franklin – most of us likely couldn’t name a single person who died in this way. But one name we should all know is Neil Stonechild. His story, and the stories of other victims of hypothermia, should shape how we think about systemic racism and other social injustice. This month marked the 10th anniversary of the inquiry that brought a police force, an entire city, and many parts of Canada to consider some of these problems. 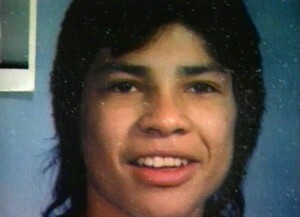 The body of 17-year-old Neil Stonechild was found in an industrial area at the northern edge of Saskatoon in November 1990. He had frozen to death in that position five days earlier, wearing light clothing and only one shoe. His face was bruised his blood alcohol content had been high, and some of his friends and family suspected foul play. They were told that a full investigation had been conducted and that the teen had wandered to this remote location under his own volition. A cold case if ever there was one. Still, some wondered if Neil had been the victim of a “starlight tour,” or the un-authorized police practice of leaving drunk or rowdy people on the outskirts of the city to dry out. Some could survive the walk, but in the case of Stonechild and several other Cree men, drying out in a Saskatchewan winter meant freezing to death. Prairie winters are unforgiving, to put it mildly. Saskatoon’s average January temperature (from 1977 to 2012) consists of daily lows “around -20°C, falling below -33°C or exceeding -8°C only one day in ten.” On the night Stonechild went missing, the temperature fell to -28°C. Ten years later Darryl Night told a police officer that he had been left in a field one January evening, and he only survived the -20°C temperatures because he found his way to a power station and called a taxi. Night did not expect anyone to believe him. But days later the frozen bodies of two other Aboriginal men were found in a similar location and the police officer consulted Night and asked him for a full report. This began a long process of investigation and reconciliation that reopened the Stonechild case and culminated in a Commission of Inquiry and a report revealing what really happened to Neil Stonechild. The police officers were charged with a minor offence and relieved from their duties. The police chief was replaced, and a series of recommendations were advanced to build better accountability and begin repairing the trust between First Nations communities and the police. But in many ways Stonechild’s story continues. Some challenge the evidence and testimonies used to charge the two officers. Others claim that starlight tours are continuing under other police forces and lives are at risk. The Saskatoon Star Phoenix ran several excellent features on the Stonechild Effect over the weekend. The actions taken by the Saskatoon Police force have been impressive, considering the profoundly strained relations between First Nations and police forces across Canada. Still, simple changes in technology and even policy will not eliminate racism. We need to ask why officers would employ a risky, illegal, and reprehensible practice with seemingly little to gain? It was not official police policy, and it was not carried out by most or even many officers. The investigation suggests that it may have occurred in periods when the pressures of policing were building and resources were low. Starlight tours were not mentioned in the Stonechild report, but it suggested that this was an unfortunate, and deadly, way to circumvent safe and legal detention. Historians will note that the police chief at the time of the Inquiry apologized to the victims and their families with a confession. He claimed that although he was initially unaware of any cases of starlight tours, when he began to investigate he found recorded examples as early as 1976. Theirs was not an isolated case. We are learning all too frequently of course that the first Aboriginals to perish in the care of the state died long before 1976. The roots of these problems run deep. My own research is in Canadians’ experience with the cold. Even there we see that many of the Aboriginal men who were left in dangerous conditions belonged to a group most likely to suffer hypothermia and neglect. Neil Stonechild was a young man with a face that captured the media, but if had been part of the usual demographic of older victims, his story may never have caught the attention of the public, and thus the police. 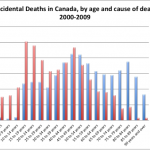 My article on the ice storm noted that most victims of hypothermia in the twenty-first century are the elderly. When compared to the age range of people who die by drowning, for example, people at risk of exposure to the cold are usually older and poorer. Heat and shelter are in the base layer of Maslov’s hierarchy of needs, and people without access to these basic physiological needs often struggle with poverty and addictions. Like the Aboriginal men and women abandoned on starlight tours, Canadians at risk of hypothermia are very much overlooked and marginalized by large parts of society. But did people actually freeze in an energy rich country like Canada, and if so under what circumstances? The trend seen in Saskatoon dates back to at least the nineteenth century in Canada. The most commonly reported cases of hypothermia in the age of temperance were also related to poverty and addictions. Not only did alcohol impair the judgment of someone caught in the cold, but we now know that it expedites some of the heat loss processes that cause death by freezing. Nineteenth century temperance magazines were replete with apocryphal accounts of incorrigible drunkards dying or losing limbs from hypothermia. The slightly more balanced Globe would occasionally print stories of hypothermia such as the case of Murdoch Martin, a resident of Huron County who “addicted to intemperate habits” was found “lying on the ice, half a mile out on the lake.” The results of autopsy confirmed that “Martin came to his death by taking too much intoxicating liquor, and by exposing himself to the inclemency of the cold weather on the night of February 6th 1868.” The mention of his widow and six children suggest Martin was middle-aged or older. Not all victims were lost in the rural wilderness, and not all were older. During the particularly cold winter of 1866, the Globe complained that Toronto’s “streets are filled with vagrants during the day, and at night the police stations are besieged with numberless applicants for shelter.” In the middle of this context a 21-year-old woman named Margaret Armstrong was found frozen to death in the yard of Trinity College on Strachan Avenue. She had been recently released from the gaol, where she was “an habitual inmate” and she died through the night, presumably intoxicated. Even when the proper language is identified the veracity of the data remains suspect. Babies were suspiciously prone to death by “cold.” Why would that be? George Emery’s Facts of Life identifies several other problems with early vital statistics, including the inability to self-report one’s own death! James Daschuk’s Clearing the Plains shows the fine line between freezing and starving to death on the Plains, and of course the large numbers of each who were omitted by the Census in the 1870s and 1880s Canadian Territories. In general terms, however, the census data shows that seniors were at high risk of hypothermia in the late nineteenth century. Those who froze to death in the 61-81 age range made up a higher proportion of deaths than any other age group. People in their 60s and 70s were about as likely to die from freezing to death as drowning, and people above 80 were over twice as likely to die from the cold. Percentage of Deaths by Hypothermia and Drowning 1871-1881. Source: Censuses of Canada, 1871 and 1881, Vol II Population. 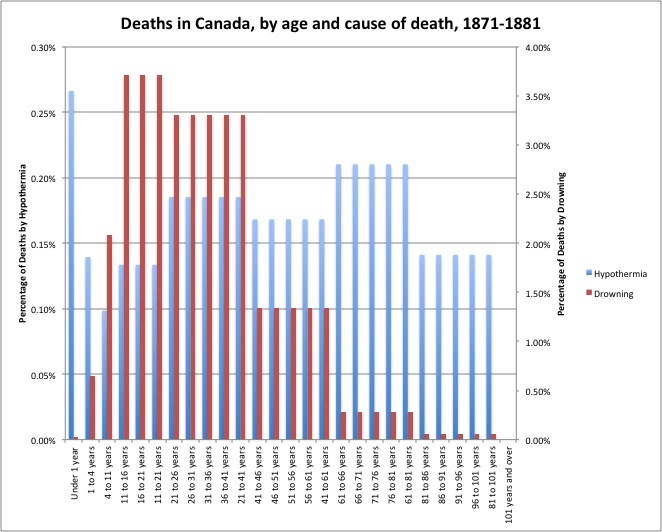 While hardly the last word on hypothermia, these data aggregate two trends from census data in two years (1871-1881) where cold and frostbite were recorded as causes of death. It shows that freezing to death was most common among the senior and middle-aged population, but people of all age groups were at risk. The threat of hypothermia was much more evenly distributed across the stages of life than it is today. To follow the comparison between freezing and drowning in the twenty-first century, the threat of drowning was much more prevalent in the nineteenth century (659 people drowned each year in the 19th century, compared to 93 people per year in the 21st) likely because of safety and navigational changes in the fisheries. Those who drowned were typically working age males, between the ages of 11 and 41. Still, when plotted on a secondary axis the age trends between these two causes of death in the late nineteenth century and the early twenty first century are demonstrably similar. Writing about this racially and socially unequal affliction from the “front lines” in Saskatoon, as it were, one hardly knows where to begin. Perhaps the simplest way is to acknowledge that we live and work on First Nations land. We have deep rooted systemic problems. We have a history of injustices which come to light with exhausting frequency. By 2014 we couldn’t ignore what happened to Neil Stonechild. And we can’t ignore the Canadians who are most at risk of hypothermia today. I hope as winter approaches we warm up to the idea of becoming communities who refuse to leave anyone out in the cold. L. McCullough, S. Arora, “Diagnosis and treatment of hypothermia,” American Family Physician 70 (2004): 2325-32; John Valiant’s account of the one of the toughest timber cruisers in BC demonstrated the protagonist’s hardiness by his ability to pass out drunk in a snowbank and wake up the next day breathing. John Vaillant, The Golden Spruce: A True Story of Myth, Madness and Greed (Random House LLC, 2009). “An Inebriate Frozen to Death,” Globe 13 March, 1868, p2. “Frozen to Death,” Globe 5 February, 1866, p2.